Our Logic Smoke Sept Wolves Vapor Juice is a wonderfully mild tobacco flavor that will satisfy your need for a tobacco taste without overpowering your taste buds. It is wonderful by itself and is also great with a bit of menthol added to give you a minty kick. 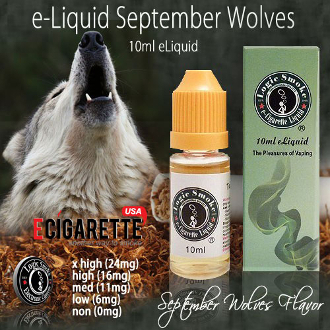 Either way, Pick up a bottle of Sept Wolves E-liquid from Logic Smoke and enjoy.